The great folks at Colorlines are currently running an extensive, brilliant and insightful series on Black Men: Life Cycles of Inequity. The current topic is Black fatherhood. Please view the related articles ‘The Untold Story of Black Fatherhood’ and ‘A New Image of Black Fatherhood’. Today’s re-blog is a video introduced by Kai Wright, produced by André Robert Lee and edited by Elizabeth Rao. It first appeared on Colorlines on November 19th 2014. In the video above, our series’ filmmaker André Robert Lee speaks with a pastor in New Haven, Conn., whose life reveals one of the many things about black family that gets overlooked in the constant handwringing about a crisis of black fathers. For centuries, black families have had a tradition of communal parenting. This tradition stretches back to our West African roots and it was among the cultural tools we used to survive slavery in the Americas and the terrorism of 20th century segregation—both of which actively sought to destroy black family units. The tradition continues to buttress black families navigating today’s endemic poverty and the abuses of the criminal justice system. Father Mathis and the men for whom he has been a surrogate father share their stories with Colorlines, and we thank them. All photos by Marcus Franklin. The great folks at Colorlines are currently running an extensive, brilliant and insightful series on Black Men. This months installments focus on Black fatherhood. Please read the first essay ‘The Untold Story of Black Fatherhood’ by Stacia L. Brown here. Today’s re-blog is a photo essay by Marcus Franklin who refocuses the distorting lens of mainstream media with intimate portraits of black dads and their kids. It first appeared on Colorlines.com on November 19 2014. In June of 2013 I started photographing black men and their children and created The Fatherhood Project, the online home for photos that capture them in ordinary moments. A single dad helping his daughter with math homework during a break at work. A dad teaching his daughter how to walk as they wait to see a doctor. A father and son chilling on a stoop. Why photograph black men and their children? What’s extraordinary about these subjects? Twenty years after the Fourth World Conference on Women in Beijing, the CSW will hold its annual two-week meeting, March 9-27, 2015, in New York. Thousands of participants from UN agencies, NGOs and national governments will discuss the progress made towards greater gender equality over the past two decades. Those twenty years have also witnessed unprecedented efforts to engage men around gender equality. The CSMM conference aims to bring together more than 500 activists, practitioners, and academic researchers from around the world who are working to engage men and boys in fulfilling the Platform for Action adopted by the CSW in Beijing. 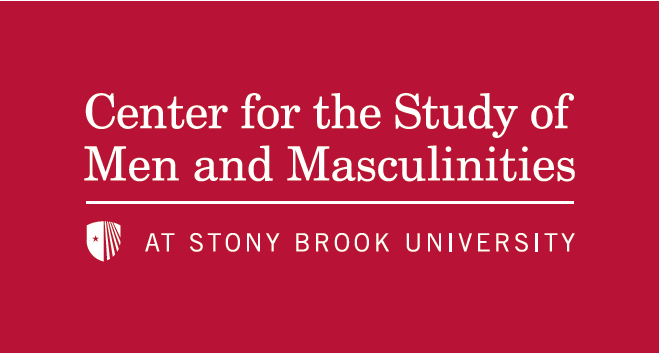 It will review the success of programs to engage men and boys, share research-in-progress, discuss new and possible policy initiatives, and chart research needs for the future. For this conference, CSMM has partnered with the American Men’s Studies Association, and the MenEngage Network, to build opportunities for dialogue, critique and inspiration across three days of presentations, panels, workshops, and trainings. The twin goals of the conference are: (1) To infuse men’s activism in support of gender justice with the rigor and insights of the most up-to-date research; (2) to increase cooperation and ties between academic researchers who address various gender issues, and feminist activists, practitioners, and advocates. CSMM invites all those committed to engaging boys and men in these global efforts to promote gender equality to share their ideas, programs, projects, and research. – engaging men in policies to promote gender equality in education, employment, social life, and the political arena. Some specific issues might include: transforming fatherhood; working with boys and young men; challenges of reaching men in post-conflict settings; preventing the spread of HIV/AIDS; men and aging, disability, impairment, and illness; diverse masculinities; multi-cultural coalition building; challenging homophobia; understanding and preventing gang-rapes and mass-murders by boys and men; engaging religious authorities; boys’ education; challenging bullying, harassment, and domestic abuse; working with abusive & violent men; men and child-custody issues; campus programs for preventing sexual violence; men in prisons; men and the military; men and prostitution; gender-linked alcohol and drug abuse; men’s depression and suicide, and other topics. Proposals may be submitted online (http://www.jotform.us/AMSA/CSMM_2015) and any questions about the proposal process may be directed to csmmsb2015@gmail.com. The deadline for proposal submission is October 31st, 2014. It should not need to take the death of yet another unarmed African American man at the hands of law enforcement to remind us that looking at the intersections of race and masculinity is crucially important. Here at Masculinities 101, we have talked about the challenges face by young men of color and the flaws with policies supposedly designed for them. The great folks at Colorlines are currently running an extensive, brilliant and insightful series on Black Men: Life Cycles of Inequity. Today’s post addresses the issue of implicit biases in schools. By Julianne Hing, first published at Colorlines May 13 2014. This call for papers has been updated and the updated version may be found here.